It is known that it took Tatyana Danilyants almost ten years to research and investigate, from 2007 to 2014. The shooting started in September 2014 and went on with pauses until November 2015. 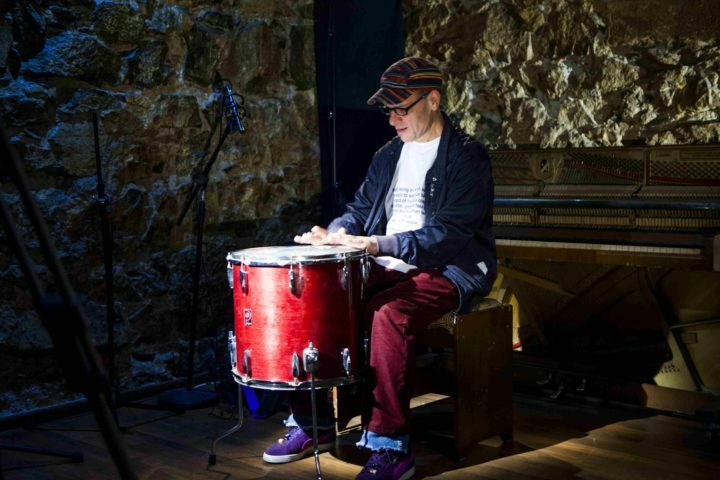 During this time, the material about the life of six musicians was shot, the already scarce footage was found from the 90s, the era of “blockade and darkness”, the dramatic period in the history of the country that stayed virtually unknown outside Armenia. 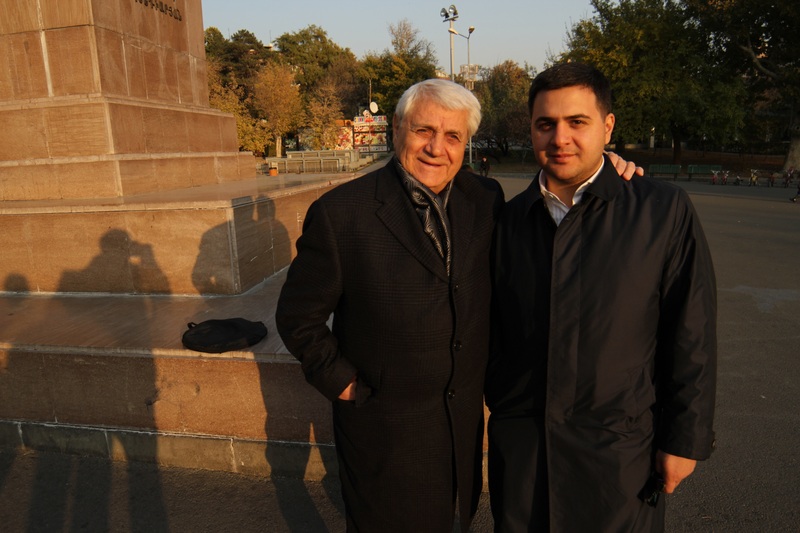 Once, at the beginning of December 2007, I appeared – for the first time of my life – in Yerevan, the capital of Armenia. It was dull day, almost without light, followed by a cold evening. I was taken by friends to a jazz-café, “Poplavok”, that means “The Float”. They told me that this is a cult Yerevan place. I was invited there to listen to a local celebrity. This is how I met Forsh, an extraordinary musician and composer with an extremely high level of vital energy. Later, I met and listened to another amazing person, the singer and composer Lilith Pipoyan, who has adapted ancient Armenian poetry creating unique songs in her special style. And again later, I met another great person, Malkhas, a musician and the founder of the Yerevan International Jazz Fest. 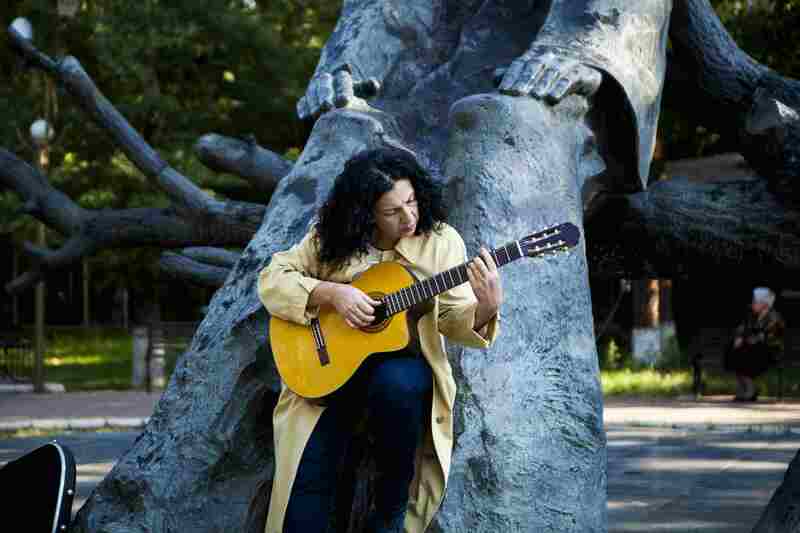 From that time on, I discovered Yerevan together with its great contemporary musicians. Some of them, like Jivan Gasparyan and drum-player and composer Arto Tuncboyaciyan, had become well-known world-wide. For example, Arto has been a Grammy prize laureate. What really impressed me, and to which I dedicate this film, is the unique music of my heroes and their rich personalities, always existing in close connection to their roots… and, of course, their Yerevan, the city they talk and sing about. Between East and West, between strong traditions and today’s innovations, between the nostalgic melodies of duduk and the beat of modern jazz, is Yerevan. 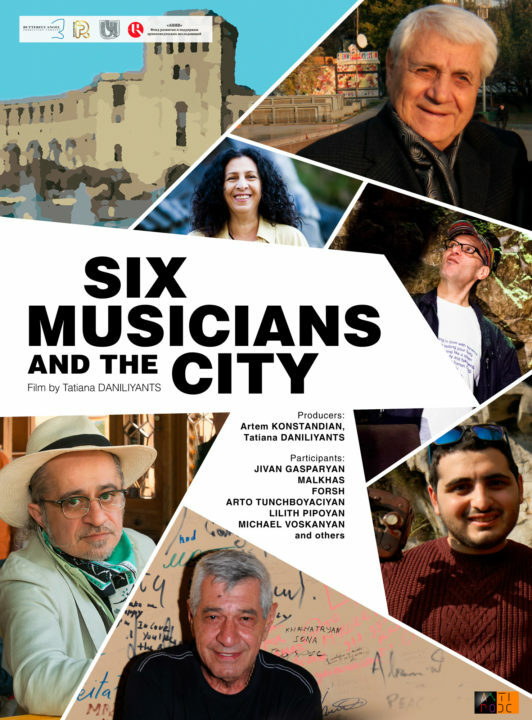 Six musicians, six styles, six personal stories behind one of the most musical cities in the former Soviet Union. At the end of the 20th century after the collapse of the Soviet Union, Yerevan survived wars, the blockade, a period of “darkness and hunger” and almost total isolation. Now it is changing dramatically, searching for its own identity, its path of development and its place in the world in the new millennium. The six participants of this film, including Grammy and World Music Award Laureate Arto Tuncboyaciyan and world-wide famous “duduk-voice” Jivan Gasparyan, are the “genius loci” of Yerevan. They personify its hidden pain and beauty. The film captures Tatiana Daniliyants’ ten years of research and an attentive eye for these musicians’ own stories and their extraordinary music.